To celebrate the 50th anniversary of Moody Memorial Library, we are counting down 50 unique items from the special collections housed in the half-century-old building. 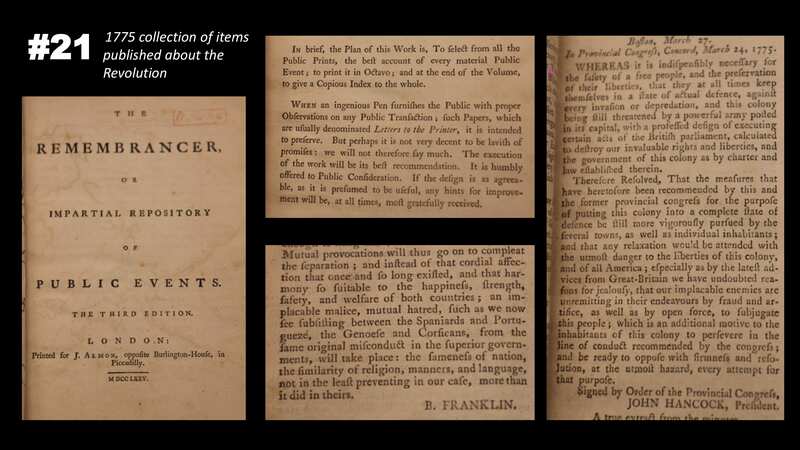 This month we are showcasing a handful of items related to the American Revolution. 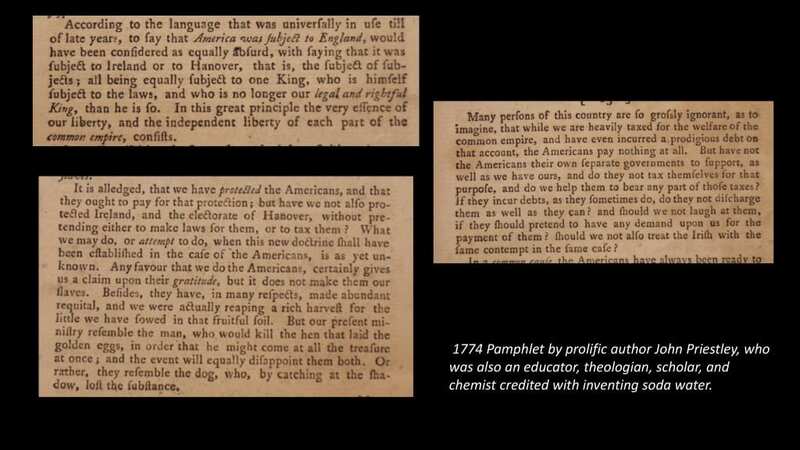 In honor of Independence Day, we are investigating a small sampling of our rare books connected to our nation's birth. Happy Fourth of July! 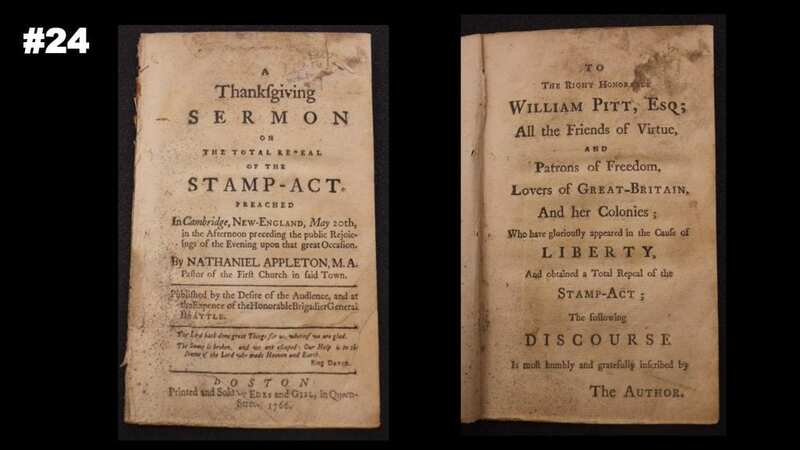 #24 : A thanksgiving sermon on the total repeal of the Stamp-act by Nathaniel Appleton (Boston, 1766). The Stamp Act of 1765 was a direct tax on the colonies on printed materials. After months of protest, Parliament repealed the Act in March 18, 1766. That same day, Parliament passed the Declaratory Act, affirming Parliament's authority in the colonies. 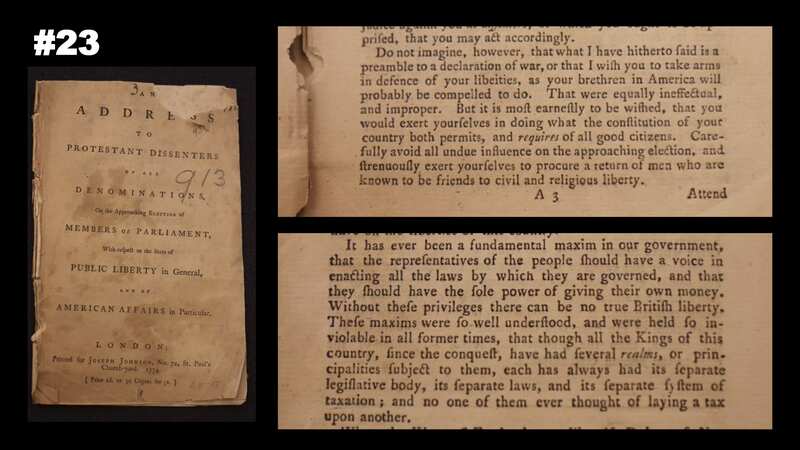 #23 : An address to Protestant dissenters of all denominations by Joseph Priestley (London 1774). 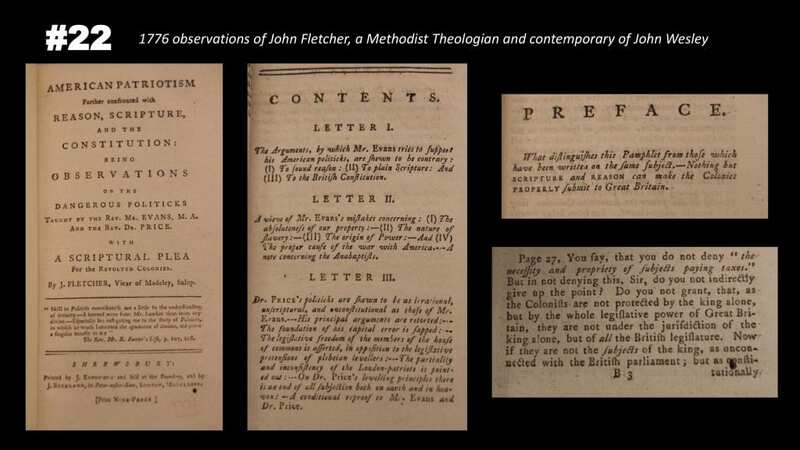 #22 : American patriotism farther confronted with reason, scripture and the constitution by John Fletcher (Shrewsbury, 1776). #21 : The remembrancer, or, Impartial repository of public events (London, 1775). 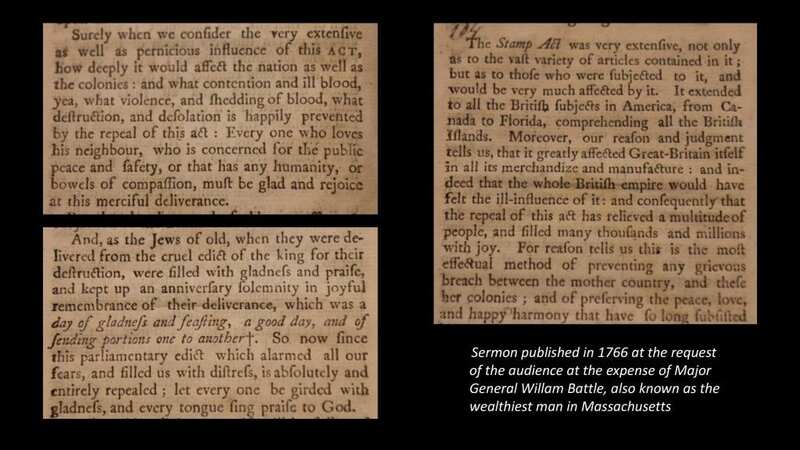 Published by English journalist John Almon, this is the first volume of a seventeen-volume collection of colonial government documents and press reports from various colonial newspapers documenting the events of the American Revolution.